It’s always exciting when someone from North Carolina shows up on American Idol. In the show’s 12 seasons there have been several, including hometown favorites Clay Aiken and Scotty McCreery. They serve as a testament to the great talent residing in our state, and make us feel pride in our home and its people. Cary, too, has a wealth of talent abiding in its residents. 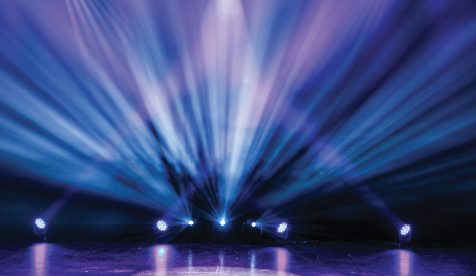 Vocal, musical, performance, dance — you’ll find it all here on the local stage. We spoke with three Cary arts groups that thrive on the talent of this community and seek to grow their reach with every performance. Here we’ll lift the curtain on the Concert Singers of Cary, the Cary Town Band and the Cary Players. “Think of those Russian dolls where you take one out, and there’s a smaller one inside,” said Larry Speakman, artistic director and conductor of the Concert Singers of Cary, the 150-person all-volunteer choral ensemble that convenes once a week for the joy bringing vocal music to life. Within the full chorus — the largest of the dolls — are more specialized ensembles such as the Chorale, Chamber Choir and Choral Artists, each one decreasing in size and increasing in musical experience. “We want to be a one-stop opportunity for people interested in singing,” Speakman said. As a community choir, the group holds auditions once a year and builds its ranks from the talented singers in the Cary area, from recreational singers through collegiate or professionally trained vocalists. Founded in 1991, the Concert Singers of Cary is performing its 23rd season. But only since the Cary Arts Center opened in 2011 — with fixed rehearsal and performance space — has the group become a permanent fixture on the downtown Cary arts scene. But arts aficionados will recognize them as the group that sings behind the N.C. Symphony, primarily for the symphony’s pops programs such as the Summerfest Series and last year’s Video Games Live. “When the N.C. Symphony does choral performances, the people who attend have an expectation for a professional orchestra, and they expect the chorus to match,” said Speakman, which puts pressure on the Concert Singers to deliver professional-level work. In addition to the performances with the Symphony, the Concert Singers hold an annual four-concert season. Every concert is different and showcases a broad range of musical styles. “From our beginnings, we said we don’t want to be pigeon-holed into classical choral pieces,” emphasized Speakman, who admits that a strictly classical repertoire can seem pretentious to some audiences. Instead, Speakman crafts what he calls “collage programming,” or zig-zagging between different music styles to keep the audience engaged and surprised. The result is a fun, exciting concert that will be appreciated by music lovers of all types. Next concert: King David by Arthur Honegger with special guest narrator Ira David Wood III, Saturday, March 22, 7:30 p.m., Cary Arts Center. If you’ve attended Lazy Daze or the Independence Day celebration at Koka Booth Amphitheatre, chances are you’ve heard the Cary Town Band. Unofficially, the band operates as the official town band, playing for holidays, festivals, grand openings and dedications as well as organizing its own six- or seven-concert season, keeping the nearly 50 members very busy. The concerts, which are always free, might surprise you. Ragtime, polkas, overtures and marches written between 1860 and 1920 are the mainstays of the Cary Town Band’s library, but they also mix in modern pieces for popular appeal. Holoman, who joined the band in 1990, three years after its founding, became director in 2009 and works hard to make every concert different and fun — for the band members and the audience. The emphasis on fun over musical perfection — Holloman admits none of the music is perfect — creates an enjoyable atmosphere for members. “There’s a camaraderie among the group. … People like each other and respect each other. They want to play, and do as good as they can, and enjoy the pleasure of making good music together. “We make mistakes, but by God there’s spirit in that music!” Holoman said. Musicians of all skill levels are invited to audition for the band’s 49 positions. Some instrument sections are currently full, but there are always some open positions, Holoman says. The band’s website, carytownband.org, lists the details. Even auditions remain consistent with Holoman’s penchant for pleasure. As informal as it gets, interested musicians simply have to attend a few rehearsals and play alongside the existing band. Holoman uses that time to observe the player’s skill and commitment; and the auditioner can gauge how much he or she enjoys the experience. One of the band’s ultimate goals is to serve the town of Cary. Next concert: Czech Mates, Friday, February 21, 7:30 p.m., Cary Arts Center. Dan Martschenko, founder and president of the Cary Players, named the troupe’s initial production of A Christmas Story in 2004 their “first, big successful show.” From there the company was off and running, producing an average of four shows per year, 38 total in its 10 years of operation. Like many start-up organizations, the Cary Players experienced a bumpy beginning, fraught with lack of venue space and high expenses. Nevertheless the first production, Our Town, debuted in January 2003. More than 1,000 residents of Western Wake have contributed to the Cary Players over its lifetime as actors, ushers, costume designers, set painters and more. And more than 25,000 people have supported the Players as audience. Still, the organization is always eager for new talent, on stage or off, to join its ranks of dedicated volunteers. Each production has had at least one new person cast in a role, a trend they’d like to see continue. “There’s a place for everyone,” said Martschenko, who has acted in five shows and directed one. “If you want to get involved, we have a place for you. The lifecycle of a Cary Players’ production, from auditions to performance, is about two months. Joining the group’s mailing list through their website, caryplayers.org, is the best way to stay informed about upcoming opportunities. Desiring to serve and inspire the community, the Cary Players welcome input on what shows to produce and accept applications for directors on their website. “A lot of theater companies do shows that the actors want to do,” Martschenko said. “We do shows we think people want to see. Next show: An Evening of Possibilities by Mark Harvey Levine, Friday, January 31, 7:30 p.m., Cary Arts Center.